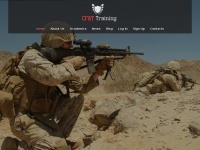 CFAT Training is one of Canada's leading Canadian Forces Aptitude Test training platforms. We provide easy to use testing structures as well as up to date exam questions with detailed solutions. We also provide study guides and study materials. You can use our blog to post and discuss different news topics related to the Canadian Armed Forces. 1 review has been written for Cfattraining.ca yet. two profiles were found for Cfattraining.ca in social networks. Among other social networks the website is represented in Facebook and Twitter. The web server with the IP-address 173.254.95.147 used by Cfattraining.ca is owned by Unified Layer and is located in Provo, USA. The website Cfattraining.ca has a own web server. The web server only runs this website. The websites of Cfattraining.ca are served by a Nginx server. The content management system WordPress in the version 4.2.1 is used. The HTML pages were created with the latest standard HTML 5. The visitor analysis software Google Analytics is used to analyze the visitors of the websites. Due to the robot information on the webpage, the following actions by webcrawlers are not allowed: using the description of the website from the Open Directory project. All other actions by webcrawlers are allowed.